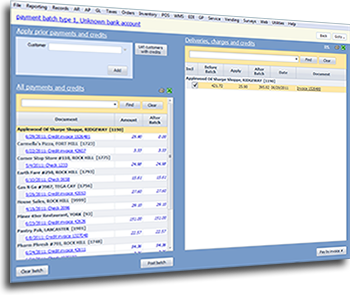 Payment Central is the new batch entry interface for eoStar. 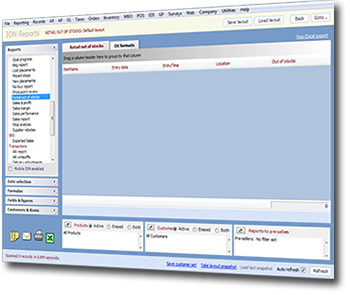 Payment Central has been designed to allow multiple entry sessions to take place in accounts receivable simultaneously in the same data entry task. Each session has a unique batch number assigned automatically to the session. Each batch can be printed and updated independently, without affecting other batches. The ultimate goal for Payment Central is to consolidate and replace a number of AR menus in eoStar. For more information, visit the Payment Central page on our wiki by clicking HERE. The out of stock report will display out of stocks at a retailer location. The data can be viewed by locations within the store or for the entire store. The data is collected by merchandisers or sales representatives doing walkthroughs using eoTouch. The SRS Territory panel has been added to the eoStar customer window to streamline the reporting of customer-to-supplier associations. Customer setup and maintenance is a simpler, more efficient process. 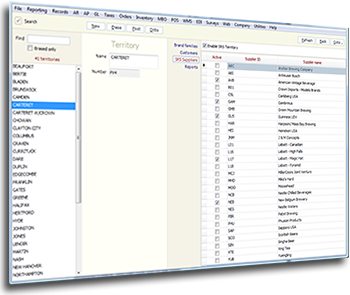 Once enabled, changes made in the SRS Territory window cascade down into the customer SRS export settings, eliminating the need to navigate multiple panels and windows. This consolidated SRS data collection gathers more accurate marketing information as well as assists in the prevention of item sales to ineligible customers. For more information, visit the SRS Territory page on our wiki by clicking HERE. Rutherford and Associates are offering two eoStar Wiki webinar training sessions on January 25th, at both 11:00am and 2:00pm (EST). Topics will include navigation of the wiki and new feature highlights. To register for either one of these courses, click the link below and indicate your preferred time on the registration form.